Local Coffee of the High Country- Where you should visit! If you aren’t a morning person then you are probably some level of coffee addict like me. If not, I bet your wallet is happy! But, me, I am your stereotypical zombie before coffee in the AM. I wake up and grumble around while getting ready and am in a less than pleasant mood. Give me that jolt of caffeine from the bean and I magically transform into a useful member of society! Haha! Around the High Country there is NO shortage of delicious coffee to choose from. I will mention all of the shops and nooks that I know of and highlight my personal favorites. I will also include a brief lesson on where coffee comes from! 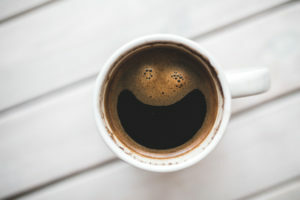 I probably know more about coffee than the average office worker should, but hey, I love my coffee! The High Country has an abundant selections of local coffee joints. Here is the list of the ones that I know of, so forgive me if I have omitted any of your favs. These shops are located in Boone, Blowing Rock, and Banner Elk. There are a couple on this list that I have yet to visit since I don’t get to Banner Elk myself too often. Each is a link so you can learn more about our local coffee scene. Mountain Grounds Coffee and Tea Co.
As for my favorite, well, #1 for me is difficult to choose. I love the homemade doughnuts from Local Lion, the chill atmosphere at Espresso News, and the proximity of espresso and pastries of Camp Coffee Roasters to my office. To be honest, if it is a local coffee joint I am all about supporting it! If you want big selection then Higher Grounds is your place. Want quick and on the go then hit up Local Lion’s drive through. Hatchett Coffee and Fred and Larry’s Coffee are served at several local restaurants and Appalachian Mountain Brewery uses Local Lion coffee and doughnuts in some of their brews! Now it’s time for some facts about this delicious bean. Did you know that there is only a small section of the planet where coffee can grow and that there is only one state in the USA that falls in the Coffee Belt? Well, it’s true. The Coffee Belt, or sometimes called “The Bean Belt,” is a small band that runs along the equatorial line at latitude 25 degrees North to 30 degrees South. There are only two types of coffee beans and they both grow period and they only grow in this zone. The Arabica bean is the one that is more commonly used in local shops and it is generally considered to taste better. (But that is, honestly, a matter of opinion) The Robusta bean is typically found in cheaper, more commercial, coffee brands. Neither are bad, but you when you start spending time hanging around local coffee shops and trying coffee from different locations you really develop the ability to taste the difference. My favorite bean is from Burundi, India and rather uncommon to find in the USA, but I highly suggest trying it if you ever see it in a local shop! You will not be disappointed!